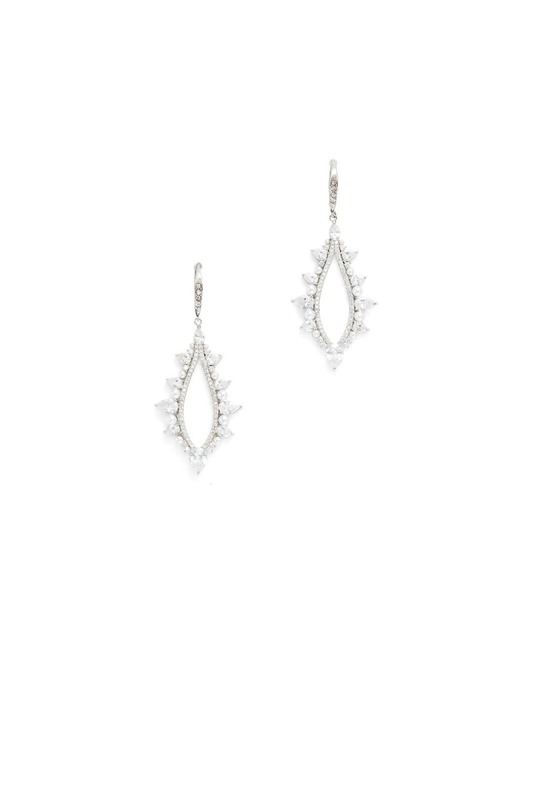 Pear-cut crystals and luminous pearls dazzle on these glamorous drop earrings by Jenny Packham. 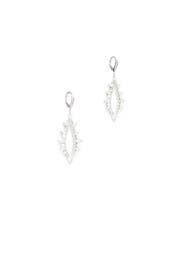 Silver plated open drop earrings with pave crystal and pearl accents. Leverbacks for pierced ears. 1.56" long.